Sri Amirthalingam, Telstra Executive Director for Networks, provides an update on the progress of Telstra’s Network Evolution 2020 strategy. Telecommunications services have never been in more demand than they are right now. In July 2018, Australian households collectively used 243.3 petabytes of data on fixed broadband alone, the equivalent of watching 9,387 years’ worth of Netflix in one month. Seventy per cent of data traffic on our mobile networks is now bandwidth-intensive video. In five years’ time we expect to have four times as many devices connected to our networks, with five times the data being used. Networks need the right technologies, scale and architecture to cope with such rapid data growth. Otherwise costs will go up sharply for customers, which is likely to be unsustainable for businesses. As a society we also expect networks to be available all the time. ‘Always-on’ e-commerce and digital services require resilient, reliable networks that can cope dynamically with challenges. When we looked at how we ensure our networks can deliver to these expectations, it is clear that we, as an industry, can’t just keep putting more resources into legacy technologies if we want to keep up with demand. It would be like trying to offer customers movies on video cassettes when they want on-demand streaming. Instead we are investing in new technologies. 5G technology, software-defined networking (SDN), network function virtualisation (NFV) and network slicing will help us to continue enabling our customers to satisfy and surpass their end-users’ expectations. We have started to accelerate the changes to our network architecture in a number of ways. The first is the roll-out of our robust next-gen optical transport network. Telstra now connects all capital cities in Australia. Second, we are making progress towards virtualising our core networks. Our mobile network runs on a virtual core, and our IP and multi-media subsystem and media cloud are also virtualised. Third, we are optimising our networks for media, and bringing the core network closer to customers to deliver better video experiences. "API gateways and orchestration mean we can deliver simplified, easily consumable and procurable products and services that create new opportunities for our customers." And fourth, in mobility, we are benefiting from our decision to start building our 5G ecosystem 18 months ago. We are now one of the leading players globally in the rollout of 5G services. Our Network Evolution 2020 strategy is delivering the right foundations to enable us to offer next-generation products and services. Now we are getting towards an inflection point where the next step is bringing digitised network services to scale through our automated platforms. The investments we have made so far are enabling us to expose our foundational services via API gateways and orchestration, so we can deliver simplified, easily consumable and easily procurable products and services that create new opportunities for our customers. We are making good progress in putting the foundations in place, and we are excited to deliver a transformed, and transformative, network for the benefit of all our users and customers. Telstra Executive Director for Networks. Sri leads investment strategy, technology roadmap, and planning and construction for Telstra's fixed and mobile networks. 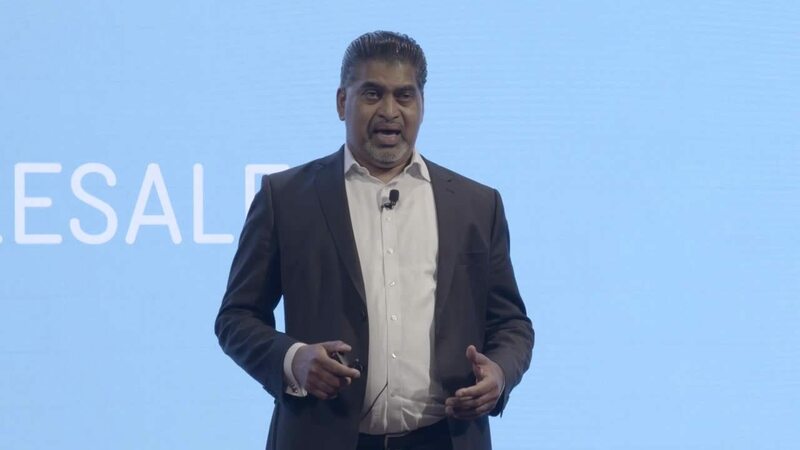 Sri has worked for Telstra for more than 25 years, predominantly in wireless networks and has helped build and run Telstra’s AMPS, GSM, CDMA, 3G, and LTE networks.